WESTPORT— A controversial plan to rework parking at one of Westport’s most popular train stations ended in a deadlock vote Tuesday, further pushing off the plan. A restoration plan seeking an appropriation of $1.5 million for the work on Lot 1 at the Westport train station, also known as the Saugatuck train station, was heavily scrutinized by members of the Representative Town Meeting Transit Committee. The vote was deadlocked at 3-3 because committee member Jeff Weiser, RTM District 4, was not present to break the tie—it will be further discussed at the next RTM meeting on June 7. Deputy Director of Public Works John Broadbin explained to the committee that the project will result in a loss of 10 parking spaces, from 320 to 310 total spots. In addition, the five points of exit from Lot 1 on Park Street will be lessened to one large exit on Park Street. Broadbin said the fact that the five exit points do not meet state DOT standards resulted in the scaling back to one. 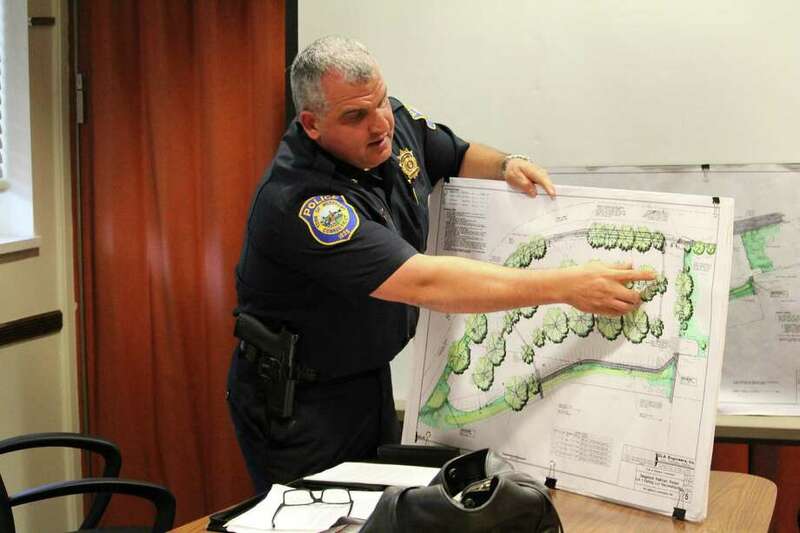 "And more importantly when we did this project between John and me and the engineering company, we focused more on safety than convenience," Police Chief Foti Koskinas said. Koskinas cited huge, drainage failures, lack of emergency vehicle accessibility and compliance with current DOT standards for the scope of the project going past just simply repaving the lot as some RTM members suggested. In a study to simulate the wait times if the exits were diminished from five to one Koskinas said, "It took four to six minutes longer at times." Koskinas said this was at the absolute busiest train times and that there were some instances where there was not increase in wait time. "I’m very frightened at the idea of just one exit," Jessica Bram, RTM District 6, said. Jennifer Johnson, RTM District 9, explained that, as a commuter who takes over an hour-long train ride every day, any increase in commute time takes a toll on those people. "I do very much oppose the one exit," Johnson said. "As someone who has commuted regularly and for someone whose family is very much affected by any additional time associated with the commute, the existing commute for somebody coming out of that lot is you come off a long, long train ride and then you get in a car and you have to now wait to get out of the parking lot and wait when you get into traffic." John Suggs, RTM District 5, was content with the work presented and voted for the appropriation. "I thank you for your clear guidance and your words and I understand very clearly that we are being asked about the funding approvals of this...I am quite comfortable with that and I trust the chief and I trust you and I trust the work you’ve done," he said. Broadbin reminded the committee that the project has gone through the proper governing bodies. "This project and its design were fully vetted publicly in the towns full land use review process," he said. "The process were culminating now is a request for funding—something totally different…this has been reviewed by the state. They find it adequate. They find it safe" Broadbin added. "We have a giant slowdown with Metro North and the only thing that we can control as a town is the front end and the back end. That means getting parking closer and cutting down the commute, so this is going in exactly the opposite direction of what we need to do." Kristan Hamlin, RTM District 4, said. Bram, Hamlin and Johnson cast the dissenting votes.